Children are one of the most vulnerable groups to the ill effects of air pollution and can have lifelong health implications. Many studies have shown that air pollution is strongly associated with respiratory conditions such as pneumonia, bronchitis and asthma, among others. It can also impact children's immune system, the lung and brain development and cognitive development. If left untreated, some health complications related to air pollution can last a lifetime. There are various studies in the past showing how pollution hampers lung function and bra­in development in children. The volume of inhaled air also varies widely with activity level; actively playing or exercising children inhale much greater volumes than those who are sedentary or asleep. This difference in breathing behavior may also increase the child's risk of pulmonary exposure to particulate matters. The lungs and brain of children can develop much better with cleaner air. Speaking on the effects of air pollution on children, Girish Bapat, Blueair Director West and South Asia Region, said, "Children are most vulnerable to air pollution than adults. They are at high risk from inhaled toxins because of their developing lungs and immune system. Some children are more susceptible than others. Individuals suffering from chronic lung disease, particularly asthma, are potentially at greater risk than those not having such conditions. It's advisable to take necessary precautions. Parents can also make use of the technology solutions like air purifiers to combat the effects of air pollution." 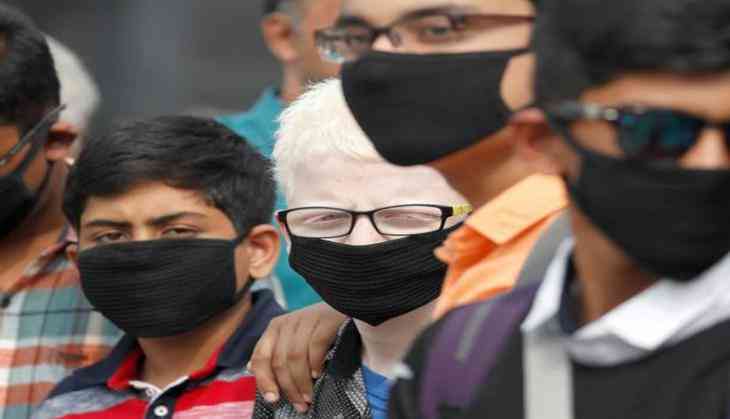 Dr. Shaguna C Mahajan, Neonatologist and Pediatrician - Shishu Pediatric Clinic, and Visiting Consultant at MAX Hospital and Fortis Hospital, Gurugram, said, "The effects of air pollution on children are way more than the effect on adults, because children body is growing and children lungs are immature. Pollution effects on children are acute and surface out long term complications on their body. Nowadays, children are more prone to coughing, wheezing, chest congestion, cold. A child recovers from one and gets the other problem much quicker. Children are now prone to so many allergies at a very young age that they have to carry these problems for the rest of their life." The levels of particulate matter (PM) 2.5 have serious health implications such as asthma, bronchitis, chronic respiratory symptoms including, shortness of breath, painful breathing, and premature deaths as these tend to get lodged in the lung and can even enter the bloodstream.